Nothing beats the glorious sight of tantalising platters spread across the table amongst friends. There’s simply no better way to catch up on the latest goss than over gourmet food and wine. 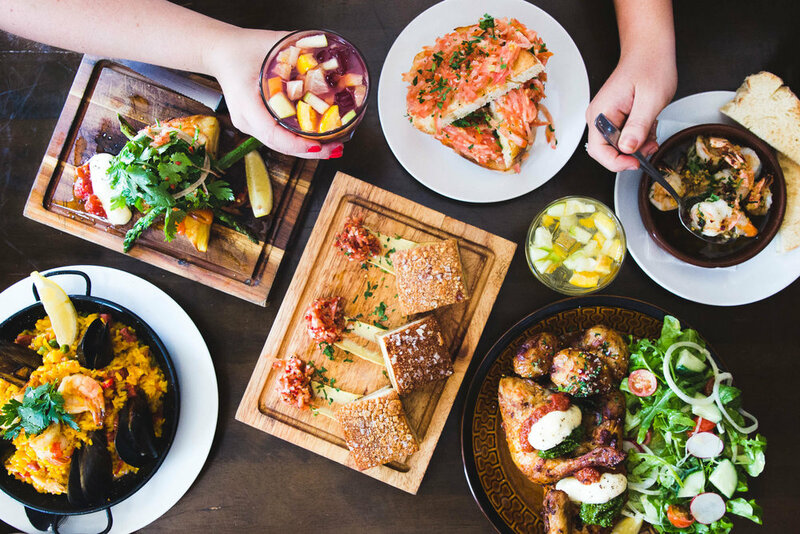 Whether your craving Mediterranean antipasto, Spanish tapas or a cheese platter the French would envy, Newcastle’s got your back for a killer banquet. 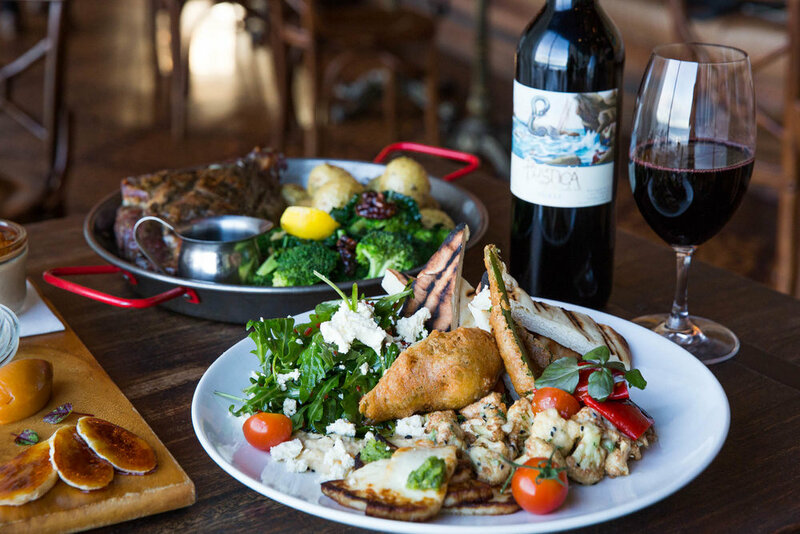 Rustica’s stunning ambiance and mouth-watering Mediterranean flavours will transport you to the Greek Islands or the Amalfi Coast. Gather three or more of your nearest and dearest and loosen your belt buckle for a delectable feast. Their banquet menu plays tour guide to your taste buds, sailing you around the Mediterranean Sea. With courses like Spanakopita Cigars, Slow braised Kleftico Lamb and Spanish Churros you’ll be fighting your fellow diners for the last bite. A long, leisurely lunch, pop home for a siesta then snack all night long… the Spanish got it right. Bocados serves aromatic Spanish cuisine, featuring a fusion of tantalising tapas and dishes designed to share. Don’t hesitate, clear the table and indulge in the authentic menu. The Spanish kitchen offers three choices of banquets inspired by infamous regions, each as enchanting as the next. Select the Barceloneta to dine on patatas bravas and paella, the Sevilla for twice cooked, orange glazed duck or Madrid for crispy pork belly and chargrilled rib-eye with chimichurri. The flavour explosions will leave you wanting to dance the salsa but realistically, you’ll struggle to walk back to your car. Sample the subtle but sensational flavours of Japan at Nagisa on Honeysuckle. Your appreciation of sophisticated flavours will flourish as you explore sweet, sour, bitter, salty and umami notes. The authentic Japanese restaurant offers a tasting banquet for two, sharing banquet for four or more and hosts a Teppanyaki Bar. Loosen your kimono and brace yourself for a feast of fresh sashimi, yuzu butter scallops, gyoza and so many more. The talented chefs infuse traditional Japanese technique with contemporary flavours to create a mesmerising dining experience. Sometimes you want to go out and indulge in mind-blowing flavours but the task of putting on pants is too daunting. For moments like these invite the squad over to your humble abode and serve them an extravagant Adventure Platter designed by The Wilderness Chef. No stranger to the Newcastle’s foodie scene, Cooper Thomas is the mastermind behind Talulah and Equium Social’s moorish menus. His side project embraces humble flavours and quality ingredients creating a gastronomic experience focused on family, friends, and feasting. 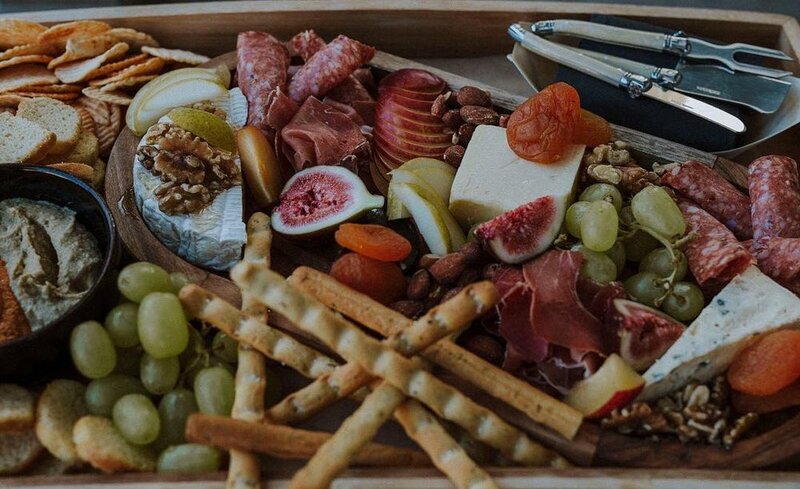 Order the Wildebeest and devour cured meats, cheese and antipasto, the Cheese Feast, a Berry Nice fruit platter or transport yourself By The Ocean with fresh, market seafood. Fabulous company, moorish flavours, and you barely had to lift a finger. If you and your friends are looking for an interactive feast that you’ll never forget, you can’t go past MEET on Honeysuckle. MEET focuses on the Brazilian dining style of churrasco, we’re talking unlimited meats and sides carved off a giant sword right in front of you at the table by one of their knife-wielding churrascarians. You know that you’re in for an authentic-as-can-be experience because owner-chefs Luciano and Daniel are both from Brazil! MEET delivers an unlimited range of Australia's finest meats, poultry and sausages, spit-roasted over natural wood and charcoal. Perhaps the best part of the meal is the delectable smoked meats from their Texan-style pit smoker. If this wasn’t enough, you also get an array of house-made sides to accompany your meats and ensure that you are experiencing the traditional flavours of Brazil. Keep your playing cards facing upright and let the food flow! Food has the beautiful ability to bring people together to share stories, laugh and create memories. If you’re going to gather the squad for a catch-up, do the right way by feasting on the best banquets Newcastle has to offer. Don’t be limited by just this list, there is a plethora of shareable menus in Newcastle, we also recommend you try Chan Chan Peruvian, Sephardim, Basement, Habesha, 5 Sawyers and The Edwards.